To customize your treatment , tell our staff your specific needs and those areas needing more attention. If you are affected by a particular disease or you are not sure if you can have a specific treatment, you must consult our doctor in our Health Department. Please communicate any allergy, diseases, or if you are pregnant. Relaxing feelings , thanks to long movements , gentle and rhythmic hands and forearms. Every square inch of the skin has hot oil poured on it and your body is then massaged, smoothed and pampered. A wonderful feeling of inner harmony flows through all the nerve cells in your body and your senses. Travel into the North Africa tradition. The Berber massage has its origins 3000 years ago in the northern Africa. Thanks to it the body is completely purified; the masseur spreads the Argan oil on the body and the pleasure begins! A traditional ritual of purification, the beauty secret of Berber women. Previous to the massage, the skin is washed and exfoliated thanks to a soap made of olive oil and Argan oil. The masseur spreads the oil on the body using the Kessa glove, this ritual is called the “savonnage”. An immersion in the heat whose origins are lost in ancient times. The heat released by stones and the pleasantly heated oils release tension and give a pleasant feeling on the whole body. Refreshment through US methodologies. Characterized by gentle movements, pressure on muscles and sweet strains. A precious Asiatic secret. Detoxifies and mineralizes the skin, using a precious crystal salt, extracted in the heights of the Himalayas formed over 250 million years ago , together with honey that nourishes in deep. Relaxing and Wellness Treatment. Soft and relaxing manual treatment to promote general relaxation. Natural wealth by African indigenous people. Karité butter has special emollient, anti-stretch mark, anti-wrinkle, firming, moisturizing, antioxidant and protective properties. It leaves a sweet smell on the skin. The ancient oriental origins give us the feelings of a very faraway land. A mixture of aromatic essential customized oils, pleasantly heated, with different beneficial properties, which will give a feeling of total relaxation. Prepare your body for rebirth in wellness. 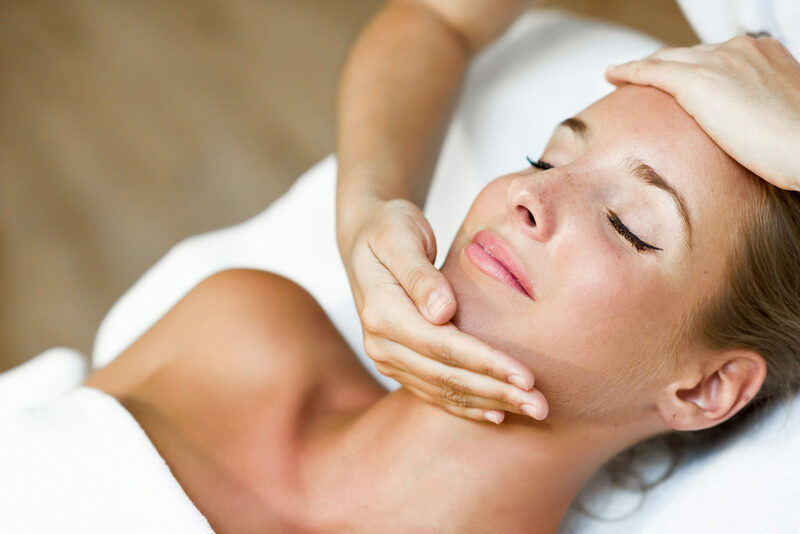 It consists in a “rotation peeling” thanks to a massage on the whole body. Then, a few minutes of laying and a quick shower. Thus, a relaxing massage with heated oils is provided. This treatment promotes skin exfoliation, allows tissue regeneration and facilitates the absorption of the active ingredients of cosmetic products and thermal mud. A natural product preventing skin aging. a nourishing and soothing massage, ideal for dry and dull skins. A high-quality anti-aging. natural product used by the Thai population. Rose oil is rich in unsaturated fatty acids, which are important for cell regeneration. Thus, it has anti-aging, regenerating and refreshing properties. It leaves a pleasant perfume of rose on the skin. South America Product having stimulating and anti-cellulite properties. Flavored chocolate oil is able to stimulate endorphins, the feel-good hormones, and it is also an excellent anti-cellulite. 3 treatment in 1! Enjoy yourself with a regenerating full program…A sweet cuddle and a valuable ally against cellulite. It consists of body scrub, body mask, massage with chocolate and a pleasant final gratification. From ancient Eastern philosophical thinking, we rediscover how to reactivate the energy in our body. Hands resting for a few minutes on the body leave energy to pass in the form of heat or vibration. According to the philosophy of Reiki, the concept of health and healing is the natural consequence of a spiritual state of being in harmony with the surrounding world. stimulates reflection of functionality of body-apparatus, organs and glands throughout the body. Thus, disturbed organs are stimulated at a distance. Japanese tradition helps us to rediscover the wellbeing of the body. While lying on the ground on a futon, finger pressures and tractions are made along the meridians Ying and Yang to rebalance the energy flow and relax . In 1964 , a new Japanese law recognized the Japanese Shiatsu as a form of health treatment. Find your balance thanks to a practice originating in the ancient Asia. On the relaxed and lying on the ground body compressions are made. Finger pressure and stretching along a series of points helps to rebalance the flow of energy and play an effective action on the venous – lymphatic system and on muscles. It is considered a branch of Thai traditional medicine. This massage is particularly useful to loosen tense muscles and improve blood and lymphatic circulation. It can be easily customized. Traditionally combined with mud therapy or hydrotherapy. It is used to release any points on the body and reactivate them, acting especially on muscles and joints. This is an intense and energy giving massage able to relieve muscle tension and tone muscles. Recommended for men or those who like very strong massages. This massage is all over the body with pumping and specific movements. It helps to get rid of tension and tiredness. This massage is specifically designed to revitalize and tone the tissue and helps restoring the natural elasticity of the skin. It is a strong and intense massage that focuses on the thighs, abdomen and hips. Performed with special cream, it stimulates circulation and metabolism. This is a massage using a special draining oil. It promotes venous-lymphatic drainage, it helps to deflate and favor lightness. Recommended as an alternative to lymph drainage. This is a specific treatment with cold gel wrap and anti-cellulite massage draining on the hips, buttocks and abdomen. This treatment is used to drain the lymph, excess fluids and toxins. It acts on the lymphatic system with gentle movements, pumping, pressure and vibration performed slowly. Medical advice/examination needed. During the session of lymphatic drainage, the masseur proceeds on the application of a specific bandage for the legs, with a special cold stimulating gel. Recommended to relieve the feeling of fatigue, heaviness and swelling in the feet, ankles and legs.